If you are an occupational therapist looking to find your perfect new home state, take a look into our list of the 25 best states for occupational therapists. Occupational therapists help people in all walks of life through therapeutic use of common, everyday activities. This may include helping differently-abled children to participate better in school and with their peers, assisting people in their physical and mental recovery after an accident, or helping the elderly with physical and cognitive changes that come with age. 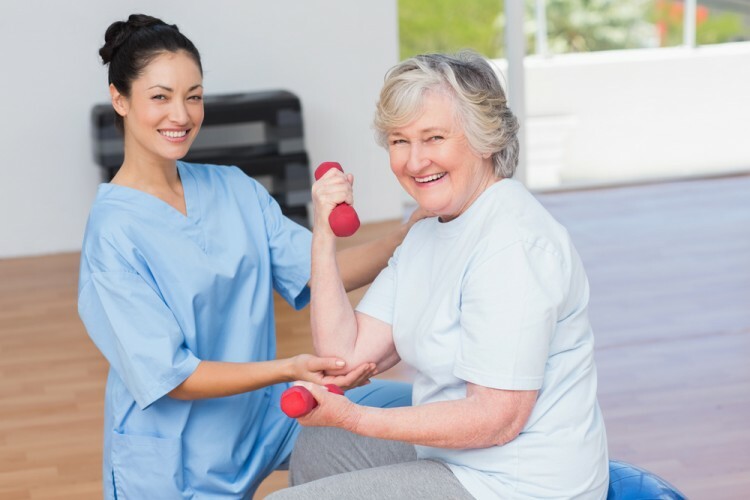 Generally, an occupational therapy roadmap includes an evaluation, customized intervention, and an outcomes evaluation.This job requires a great deal of patience, kindness, professionalism, and selflessness, and is not an ideal path for everyone. Becoming an occupational therapist requires a Master’s degree in Occupational Therapy. In America, a state license is required, as well as CPR or Basic Cardiac Life Support (BCLS) certification. There are many optional specialization certificates available as well, which will help set you apart form the crowd. Many employers prefer a year or two of experience before hiring; so it may behoove you to secure an internship. Prospective employers will be looking for great communication skills, interpersonal skills, and even strong writing skills. If you are looking for a therapy job within the medical field, also feel free to check out our list of 25 best states for radiation therapists. Deciding which states qualify as the “best” is not a simple task. Different factors matter more to different people. We decided to consult the Bureau of Labor Statistics for information on the average mean wage and the number of employed occupational therapists in each state. We then sourced information on the cost of living index from Missouri Economic Research And Information Center. Considering all of these factors, we were able to sort our list of best states for occupational therapists. It is not enough for a state to simply have a high average salary for its occupational therapists. It must also be considered that the number of working occupational therapists in the state may affect the number of job positions that are open to newcomers. On the other side of that argument, more employed occupational therapists points to the possibility of a more steady stream of work available. The cost of living index can also not be considered alone. It is great to have a low cost of living, but this only matters if your salary is also not super low. A low cost of living paired with a high salary is the most advantageous situation. States falling into this category made the top of our list. Without further ado, here is our list of 25 best states for occupational therapists.